An example of the best expression of Aglianico, this Taurasi is the main symbol of Irpinia culture and viticulture. 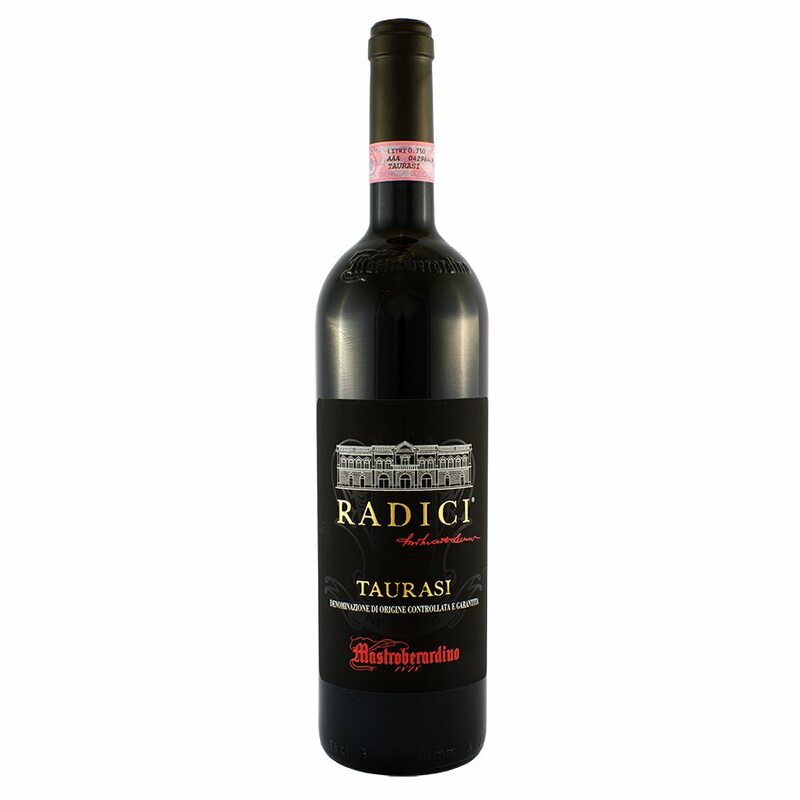 Harvest after harvest, never disappointing expectations, Radici Taurasi preserves the full-bodied structure and elegant personality that has made it famous all over the world. The Aglianico grape selection for the production of the Radici Taurasi comes from the two estates of Montemarano and Mirabella Eclano. Montemarano represents a historic site in the Taurasi production, in the southernmost part of the DOCG area. The estate now plays an important role in the cultivation of Aglianico grapes for the production of Radici Taurasi DOCG. Here extreme thermal excursions and the slower pace of maturation provide the conditions for a late harvest, usually in November, offering grapes richer in tannins and acidity, enhancing the character of longevity. Mirabella Eclano is the main estate owned by the Mastroberardino family, in the heart of the Taurasi DOCG area. The epicentre of Aglianico production, research and experimentation, this estate is spread over several hills with different exposures and is dedicated to the production of red grapes on the slopes characterised by soils with a higher presence of organic matter and volcanic matrix, as well as white grape vines in areas where soils contain more limestone and clay. Mirabella Eclano, with a South-West exposure and a deep and sandy and well drained soil, and Montemarano with a South-East exposure and a clay soil. The altitude is on average of 400 metres above sea level. The training system is the espalier with cordon spur pruning system and the density of plantation is on average of 4,000 vines/hectare (about 1,600 vines/acre), until 6,000 (2400 vines/acre) with an yield of about 5,000 kg/ha (4,460 lbs/acre) and 1.3 kg/vine (2.87 lbs/vine). End of October, beginning of November, manual harvest. Vinification with long maceration on the skins at controlled temperature in stainless steel tanks. Refines for 24 months in French oak barriques and Slavonian casks and at least 24 months in the bottle before release. Full, complex and intense, with notes of cherry, violet, wild berries and a distinctive spicy aroma. Fascinating and elegant, with flavours of plum, black cherry, strawberry and intense spices. Mature cheeses, truffles, porcini mushrooms, ragu and dishes with slow cooked sauces, roasted red meats and spiced dishes.